Turtles and Tortoises are the most popular of all reptilian pets, but first-time owners are often misled by the small size and irresistible cuteness common to hatchlings. 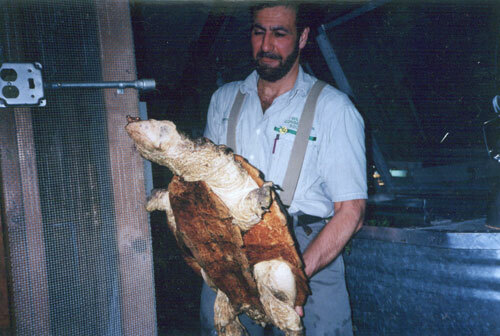 Even after a lifetime of working with hundreds of species, I’m shocked by the growth rates exhibited by Red Eared Sliders, African Spurred Tortoises and other hardy turtles. Many keepers are not able to provide the space that these commonly-available species need. It’s also easy to underestimate the time and expense involved in meeting specific needs for diets, mineral supplementation, heat, ultraviolet radiation, vet care and so on. In this article, I’ll highlight some organizations that may be able to help those who cannot provide a 75 gallon tank for their adult Slider or a ½ acre yard for the Spurred Tortoise that ballooned to 80 pounds in 5 years…or who need to find homes for “less extreme” turtles. And those readers who wish to adopt turtles in need – often a better option than purchasing – will learn how to do so. 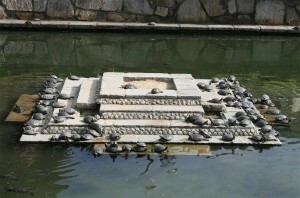 Note: Some of the most popular turtles and tortoises are actually among the worst pet-choices for most people…as illustrated by the millions of released Red Eared Sliders that now populate over 30 foreign countries (see photo of Sliders basking in a pond at the Shitennō-ji Buddhist temple in Osaka, Japan; photo courtesy of Matthew Lu) . 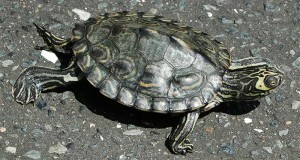 Please see Ideal Pet Choices: Small Turtles and The Best “First Tortoise” before deciding on a new pet. I’m in touch with reptile interest groups from all over the world, but the NY Turtle and Tortoise Society (NYTTS) remains my favorite. My friends there are both knowledgeable and dedicated, and over the society’s long history have helped thousands of turtles and turtle-owners and supported many young turtle biologists and conservation projects. 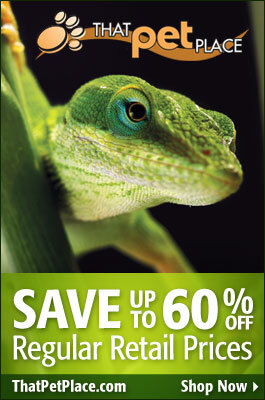 Their monthly talks and annual day-long seminars draw some of the world’s best known herpetologists as speakers. I was proud to have been asked to speak recently, although I suspect this was due more to the charms of my 6-year-old associate than any expertise on my part! (check the photos on the NYTTS website!). In common with similar groups, NYTTS’s resources have been overwhelmed by armies of homeless Red Eared Sliders. Thousands have been placed, but the supply of local homes is now depleted. However, society members can assist with husbandry information and may be able to point you towards other options. They can sometimes accommodate other turtle species, and are always happy to hear from folks who wish to provide homes for turtles (especially Sliders, I imagine!). Please see the NYTTS Website and Facebook page for further information on adoptions. Social Tees’ owner Robert Shapiro and I haunted the same NYC swamps, vacant lots, and pet stores as children, and were influenced by the same reptile-pioneers (most notably dear friend Aldo Passera, who owned a legendary Manhattan pet store, Fang and Claw). I don’t know anyone who devotes more of him or herself to animal welfare. Robert has also re-homed thousands of other reptiles, cats and dogs, along with some birds, spiders, fish…he does whatever it takes, and has an extensive network of placement contacts. If you wish to place or adopt an animal, or to help Social Tees in its important work, please check the website or call 212-614-9653. 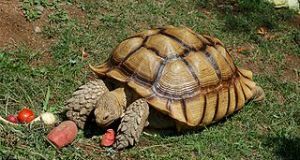 CTTS is well-known for assisting the California Department of Fish and Game with the placement and conservation of the endangered Desert Tortoise (Gopherus agassizii). Their success in re-homing a wide variety of other native and exotic species is also impressive, as you can see from their adoption statistics. 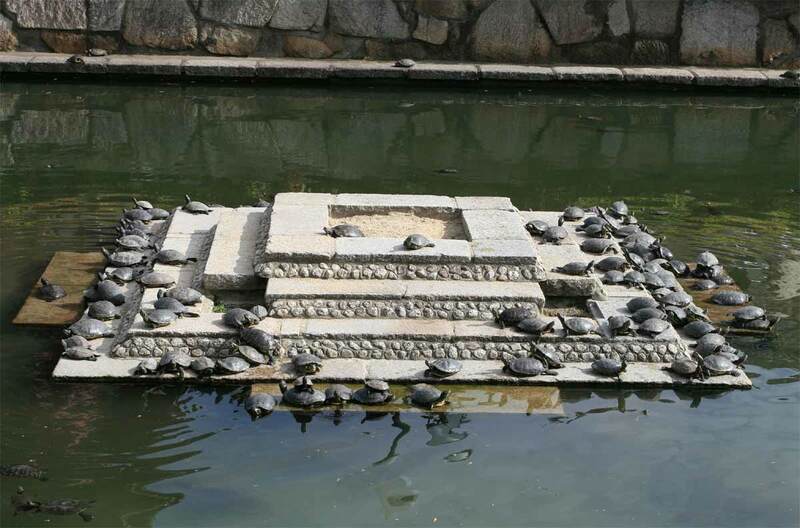 CTTS takes great pains to assure that the turtles under their care are placed in appropriate homes, and generally only considers adopting to folks living within a region that is served by a CTTS chapter. They also provide excellent care info and other guidance. I first met the kind folks at FFRS while participating in events held at ThatFishPlace-ThatPetPlace in Lancaster, Pennsylvania (if you have a chance to visit the store, do so – I’ve been to pet stores on several continents, but was overwhelmed by the selection and service here…no way to do it justice in this article!). FFRS is run with a distinct personal touch – prospective owners are emailed when turtles or other reptiles become available – and each situation is given individual attention. The group also has an extensive network of contacts, and so may be able to assist even if you are not in the immediate area…and for a $20 donation you receive 4 excellent pocket field guides covering all of PA’s reptiles and amphibians! I often post articles and participate in discussions on Austin’s Turtle Page. I urge you to check out this wonderful turtle care and natural history resource. The adoption forum lists a wide variety of turtles located throughout the USA. I maintain contacts with numerous herp societies in the USA and other countries. Please post below if you need assistance in finding a home for your turtle or tortoise, or wish to help out by adopting one. Need refuge for my best friend’s turtle. My friend is 67 yrs. old and she knows her turtle will outlive her. She wants to find a good home for her pet. She says the turtle will live another 50 years and she won’t be around to take care of it. It is in excellent health. She raised it from a baby. It is beautiful and spoiled rotten. She wants to put into a professional setting and will not give it to a household, as she is afraid they will some day want to get rid of it and something might happen to it. Can you give us some advice as to who we can talk to? The family of one of the students at my school had a fire in their apartment and left their with the dog. Inside were 5 turtles, which they left there. The apartment is closed off. 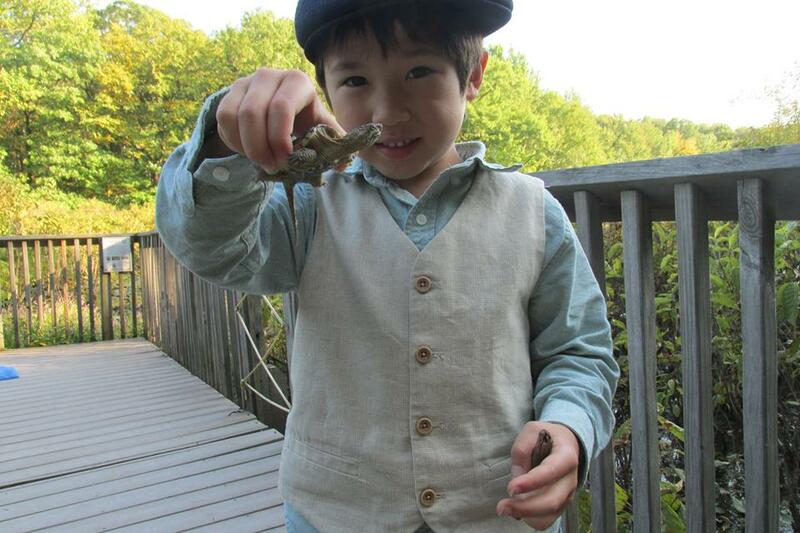 I saw the father yesterday and told him that if he can get the turtles out, he can bring them to the school. (The son had said that the father said he can’t afford to feed them) He said he would try to get them out. I haven’t heard from him, and I suspect he’s not going to do anything. Also, when I spoke to him he told me that 2 of the 5 turtles died. The building is on 22 street. Can the ASPCA help to get access to the apartment? The fire was a few weeks ago and the turtles, as far as I know are starving. I put Weed and Feed on some of my sulcata’s grass then realized it has poisons and chemicals in it. I have been watering it a lot to rinse always the pellets and I have kept the turtles off of it. How long do I have to wait before it is safe for them to eat it? I put Weed and Feed on some of my sulcata’s grass. then I realized it has poisons and chemicals in it. I have been watering the grass a lot to rinse out the pellets and I have kept the turtles off of it. What else can I do? And how long until it is safe before I can let them eat it? What species of turtle is it? Is it a species that can be found naturally in your area? If so, that would be alright, and the turtle should be fine. However, releasing an animal into the wild that is not native to your area is not only illegal, but incredibly irresponsible. Turtles released by pet owners, such as red eared sliders, have wreaked havoc on native populations by competing for food and other resources. This has driven some native turtle populations to die off almost to the point of extinction. Please check your local pet stores, online forums, and Facebook groups before doing something that could impact your environment for many years to come.